If you like games that are fast, fun and challenging, and jam-packed with content and beautiful graphics, then you'll love Table Tennis Touch - the #1 critically-acclaimed table tennis sensation. Battle your way through three epic career levels, earn Reputation to unlock tournaments, leagues, throwdowns and insane mini-games. Serve, spin and smash your way to success by defeating 32 unique players in seven stunning arenas. Version 2 now introduces local & online multiplayer and brand new player avatars - grow your "Kuto" as your earn Prestige in multiplayer matches. Table Tennis Touch is fast, really fast - prepare yourself! Season's Greetings Ping Pong People! We've got some great new content for Table Tennis Touch over the festive season so you can keep pinging and ponging(?!?) by the fireside on your phone or tablet throughout the holidays. As always, it's a free update, so ENJOY! Our collection of bat skins keeps on expanding. We've added 4 more in this update, including "Evil Knight", "Ice Cream", "Oh Canada", and of course "Santa Bat"! 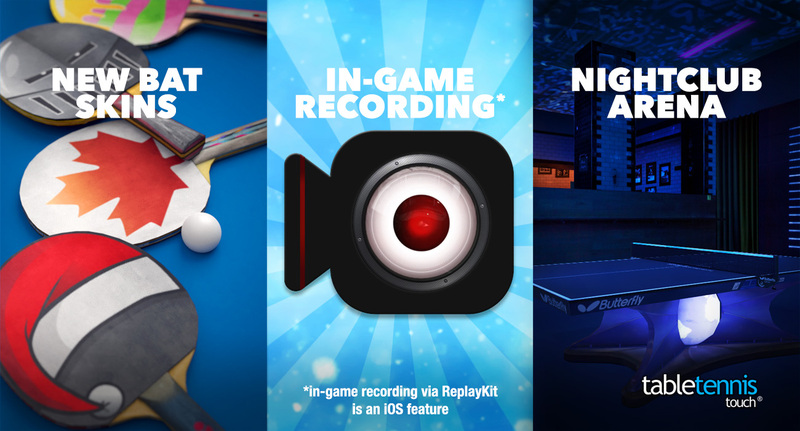 We've implemented in-game recording using ReplayKit on iOS (stay tuned for in-game recording features on Android next year... we're waiting on a Google Play Games SDK release before we can do that), so get sharing your matches and showing off to your friends! We've turned the lights off. And then turned the UV ones back on! It's our new version of London's popular Bounce venue, that we're just calling "Nightclub". We're using their amazing Earth table too, and you get a fancy UV-painted bat to play with. It's great fun to battle your mates in the dark over multiplayer - give it a try! We're still really busy with TTT, so stay tuned for lots more updates next year. We're working hard on localisation so we can bring several new languages into play, and there's still hoards of content we want to add and expand on! 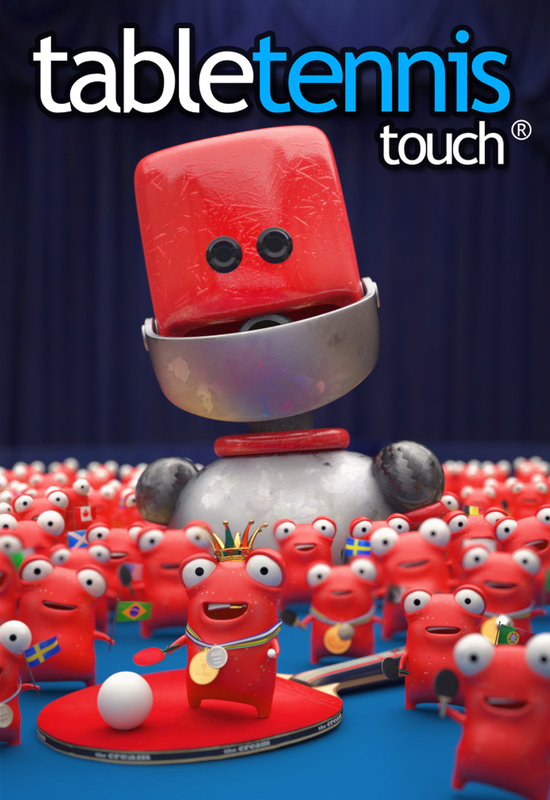 A fantastic end to 2014 for Wiff Waff, as Table Tennis Touch is included in the App Store Best of 2014 iPad games selection. I added a video to a @YouTube playlist Youtu.be Darts of Fury - BATTLE MODE!! !